Try This: Personalize a Stocking! I’ve been looking for a knit stocking just like that to customize but have been unsuccessful in finding one! Where did you get this one? Really liking the contributor’s holiday posts!! Hope you’ll update the contributors info on the about page soon.. It’s fun! LOVE the idea of a name on it! I LOVE this! I’ve been browsing for inspiration for a luxe stocking and this fits the bill! I especially love how you used the chipboard letters to customize it. Pinning… 🙂 Btw, is that a DIY stocking holder?? I love this idea! I always have a hard time finding stockings that I really love, so this would be great! I also really love the mason jar snowglobe-type thing you used to decorate the stocking holder! would love to see a video tutorial on that finger knitting!! So cute! I was looking for a good way to make unique stockings. This is great! Beautiful! 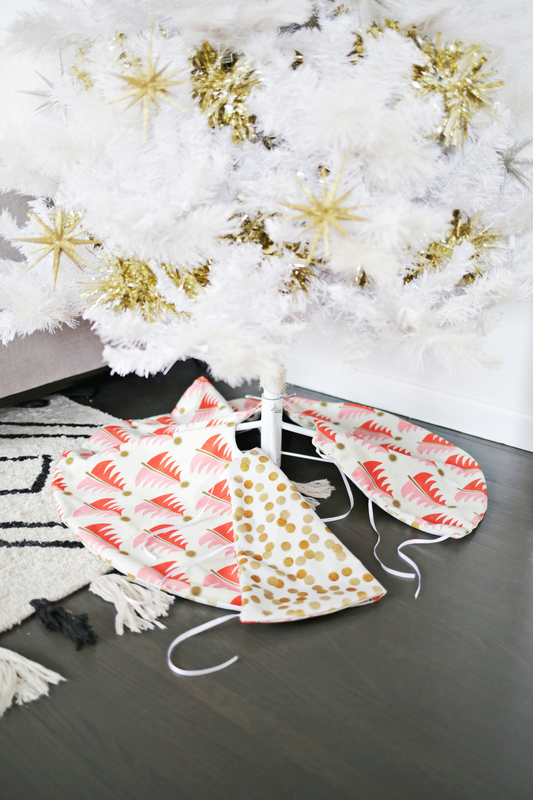 What a fun way to decorate a stocking! So sweet! Very cute! I would like it even better with a red or green stocking, but it is certainly modern in winter white! So, I made stockings for my daughters (5 and 1) that have jingle bells and I very highly recommend it! There is something so festive and memorable and hearing the bells on Christmas morning. So much goodness. OO, that is cute. I my country we didnt use stocking but I like it, Hm. I seriously am so in love with your blog! You guys have the most amazing and creative ideas and I am always checking your blog to see the latest. Major props to you badass gals! I have like a list of ABEAUTIFULMESS TO DO! Great ideas, wonderful style, and always something new! Y’all have a wonderful Christmas (or Holidays, or Hanukkah, or Kwanza, or December)!! I loooove the look of this! The fluffy white yarn with silver letters and bells is gorgeous! She mentions Target in the first paragraph. I’ve looked everywhere for letters like this and can’t find them anywhere. This is very chic and beautiful! Oh must’ve missed it, thanks! I’ve been to Target a few times but haven’t seen that one. Oh well! So simple, Rachel. Great idea! I like this a lot! Although I am more of a fan of the classic red and green stockings. wow love it! so beautiful! such a cute idea! love! so cute!! desperately need stockings so I love this idea! simple beauty!! I love this, Rachel. Also, let’s discuss how cute the homemade stocking hanger is. I would also like to know where that stocking is from! I have all white decor for Christmas and I have such a hard time find white stockings! I checked Target, West Elm or Crate & Barrel and no go. I almost bought some myself. I’m wondering where you found the little reindeer? So did I! I actually never knew it was possible to finger knit with more than one finger. Now I just typed “finger knitting” on YouTube and found some nice tutorials. Yay! Hi! The reindeer is a vintage find from a flea market but I bet you could find something similar on eBay or Etsy if you searched ‘vintage Christmas reindeer’. This one is from Target but it’s not plain white. There was an ‘H’ on the other side that’s hiding. You can keep yours hidden like I did or maybe even make one from a thrifted knit sweater? This is really cute, I love the colour scheme. I’m into gold and cream this season! She also said that the other side has a big H on it, so you might’ve overlooked it at Target since it’s not really a plain knit stocking. She just flipped it over 🙂 I’ve been searching for one like this myself with no luck!